Learning with a parent or caregiver is such a joy! We named this class “Little Explorers” after spending a long time thinking about what children do at this age. One might say they make a mess….pulling everything out of cabinets and off of shelves. But, in fact, they are exploring their environment. They look, touch, and sometimes taste. They shake an object, bang it, drop it. They are learning about shape, color, texture, weight. In Little Explorers, the children are free to explore and to begin to make sense of the world. 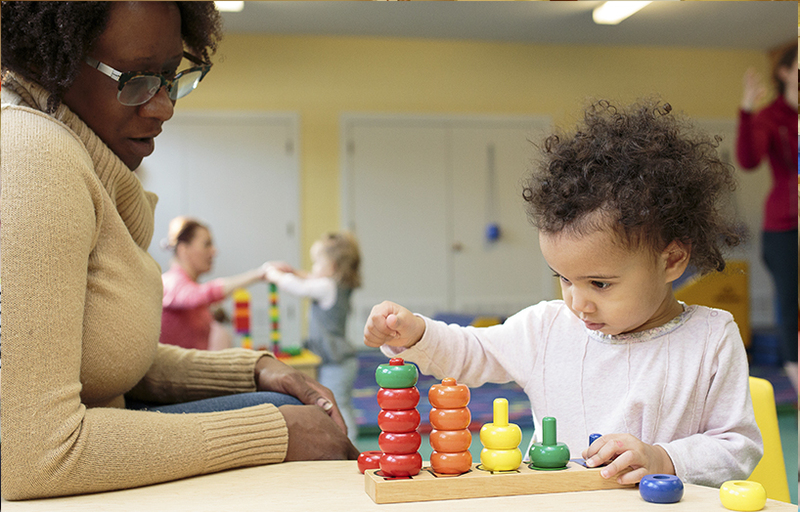 There are plenty of activities for children to use at their own developmental level….puzzles, shape sorters, color works, fine motor works and a large gross motor area. Line time with a few fun songs and movement games is followed by a snack time for the children where they begin to learn simple manners. This is also a great time for the grownups to chat among themselves, discuss child development and develop a sense of community.